Osteoporosis deserves a special chapter since it is by far the most important preventable cause of irreversible posture changes in adults. Osteoporosis is a progressive damage to the architecture of the bones, not to be confused with osteoarthritis, the natural wear and tear of the body joints that will eventually affect all of us. Instead, osteoporosis is related to a decrease in the calcium and the structural protein that maintains the bone's strength and flexibility; it may lead to a weakening of any and all of the bones in the body, but in a particularly vicious way, it affects the spine and the hips. 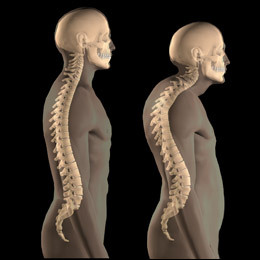 Unchecked, osteoporosis may cause permanent anatomical changes in the spine, from micro fractures to full breaks that can cause a vertebrae to collapse, with consequent loss of height and changes in the curvature of the spinal column. Misery loves company, and spinal fractures beget more spinal fractures due to the additional stress exerted by the abnormal curvature. The long bones of the body, the feet, and the hands are also commonly affected, leading to other problems such as hip, wrist, and ankle breaks. 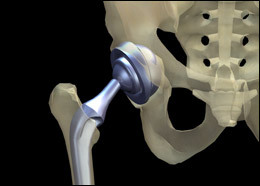 Hip fractures that were once thought to be mostly the result of falls, are instead, many times the result of a spontaneous fracture that occurs while the person is just standing or walking, then followed by a fall, such is the degree of bone fragility developed in severe osteoporosis. We often think about the bones as solid, immutable structures, whose only function is to sustain the rest of the body. Truth is, bones are made of live tissue that display a continuous turnover and are constantly being remade, same as the skin and other tissues. The skeleton is a repository for calcium, a buffer that limits what could be dangerous calcium fluctuations in our system, lending some calcium to the blood when it is needed, only to acquire it back at the first chance. As we get older this process is subverted, and calcium deposition begins to lag the calcium that leaves the bone, with a resultant net skeletal loss. To some extent, this loss is inevitable and progressive, and the best we can do is to fight to slow it down. Osteoporosis in its early stages is a painless ailment, and it may remain undiagnosed for many years, delaying proper treatment until the weakened bones do fail and break. Insidious at first, one may initially notice only some loss of height and changes in the curve of the spine; the first sign of a real problem for the majority of people is an acute fracture. Early detection and therapy of osteoporosis is the only way to slow down the bone loss to prevent skeletal deformities. For a proper diagnosis of osteoporosis the density of the bone should be determined through the use of specialized X-rays. Although bone density is the most commonly utilized method to detect and quantify osteoporosis, it does not reveal the specific causes for the bone loss; those may include varied medical conditions like kidney diseases, parathyroid gland abnormalities, and even malabsorption due to intestinal problems such as Crohn's disease. Although calcium gets most of the attention when it comes to the health and integrity of the bones, truth is that the protein matrix that makes up the skeleton has as important a role as calcium does. In osteoporosis there is a loss of both components, eventually leading to weakness of the bone structure. A good analogy would be a concrete building, where the combination of both iron rods and cement are necessary for the strength and flexibility of the structure; lack of either could lead to a collapse of the building. The use of calcium for the prevention of osteoporosis appears to be most important at an early age. Young girls who supplement their calcium intake can increase their bone mass, reducing the chances for bone loss later in life. This concept is very important since some studies suggest that ten to fifteen percent of women younger than thirty may already suffer from osteopenia, an early stage of osteoporosis. The causes for the early bone loss are not clear yet, but it ranges from dietary fads such as lack of dairy products or ultra low fat diets (fat is an essential component for the production of many hormones), to too much exercise (such as jogging several hours a day). 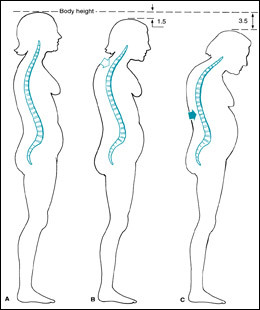 The maximum bone mass a woman will ever develop is reached at the end of her growing phase, in her late teens, and it gradually declines from then on; if a woman misses the chance to store calcium in the bones during that period, she will likely start her declining years at a disadvantage. Vitamin D is another essential component for the health of the bones; lack of it may cause rickets, once a common childhood disease characterized by bone weakness. The metabolism and production of this vitamin in the body is largely dependent on the amount of sunlight that reaches the skin, and people who don't get enough light exposure may need to supplement it with tablets of vitamin D. Use caution and engage the help of your doctor if you suspect a problem since neither too much sun nor excessive vitamin D are good for you. For reasons that are still not well understood, osteoporosis affects predominantly postmenopausal women, indicating perhaps the strong protection exerted by the estrogen-progesterone duo. Early menopause or surgical removal of the ovaries hastens the development of osteoporosis; therefore, women known to have hormonal deficiency must be tested for bone loss at an earlier age than their counterparts. Hormonal replacement has been advocated for years to delay osteoporosis in women who lack it, but recent studies have blamed hormone replacement therapy (HRT) as potentially dangerous in terms of cancer and cardiovascular disease. The choice to use HRT is a personal one and it needs to be assessed by the woman and her doctor, balancing the risks and the potential lifestyle benefits that many women claim to have from HRT including disappearance of hot flashes, improvement in mood, and enhanced libido, to cite a few. Just to put things in perspective while you make a decision about HRT, remember that hot flashes are temporary but osteoporosis is permanent. Healthy men are not immune to developing hormone related osteoporosis since testosterone, the male hormone, is very important in preserving the bone structure. Andropause is the male counterpart of a woman's menopause, and it is associated not only with fatigue, decreased sexual performance, and reduced muscle mass, but also with osteoporosis. Men with low testosterone therefore often appear tired and may display thin muscles, decreased body hair and a slouched posture due to bone loss. The health of both men and women depend on the lifelong cycles of hormones, but both sexes are affected differently from their respective hormonal changes; for example, men get bald sooner than women, but females get osteoporosis at an earlier age. Although much has been said and written regarding hip fractures in women, about one-fourth of all hip fractures actually occur in men, many times with devastating consequences. Males are more likely to engage in risky behaviors that can lead to fractures and are also less likely to be checked for bone density. Additionally, men tend to consume substantially more alcohol than women, and because of ethanol's toxic effects on the bones, alcoholic men are more prone to develop osteoporosis.